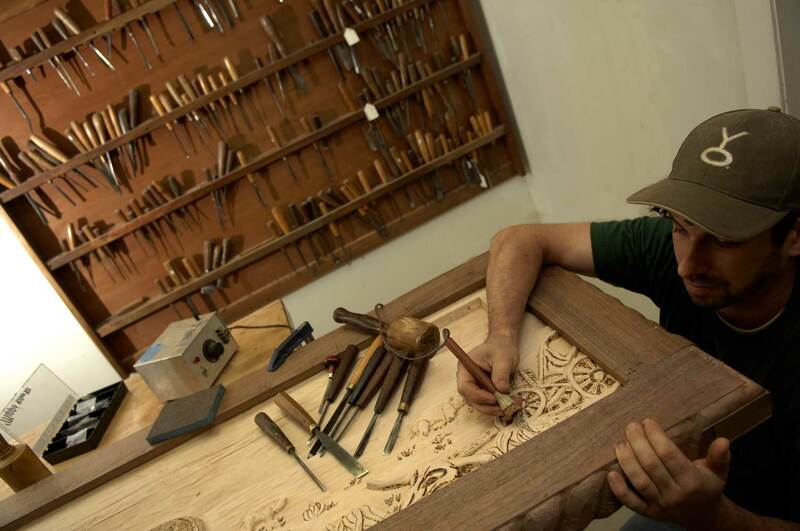 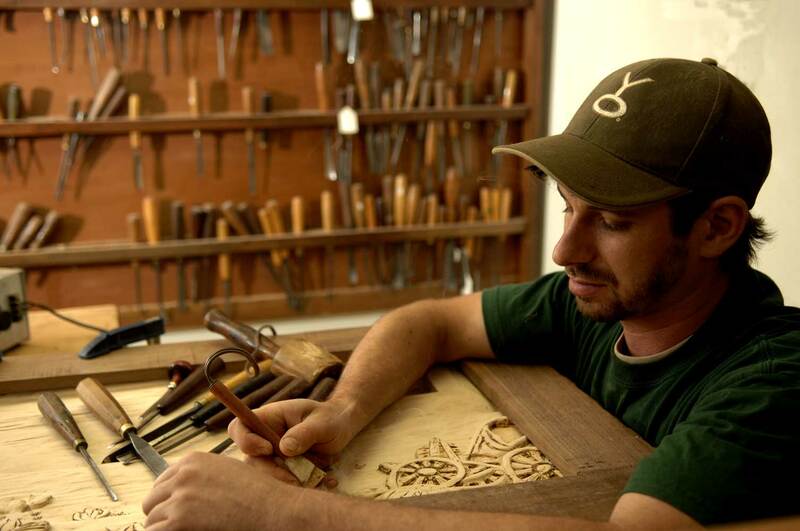 Eric M. Saperstein took over Artisans of the Valley in 2000 from his father, Stanley D. Saperstein, and has built the business up to new levels primarily based on this website. 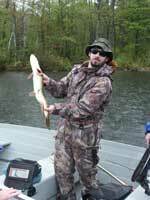 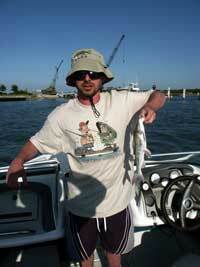 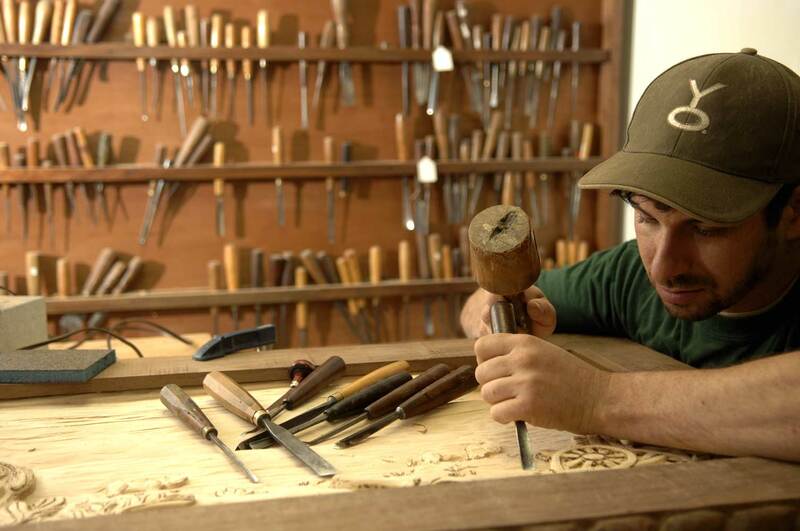 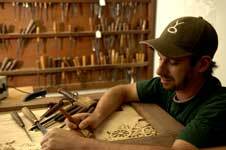 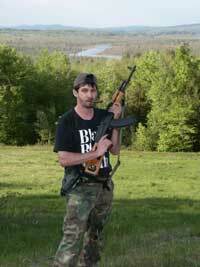 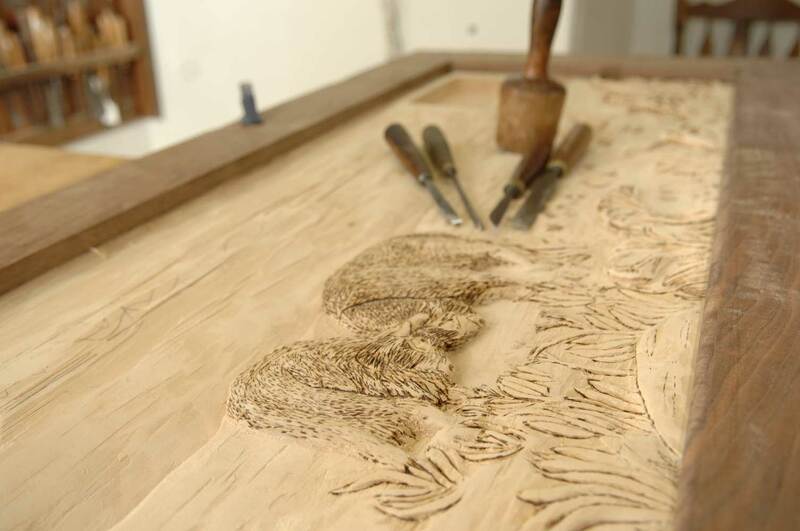 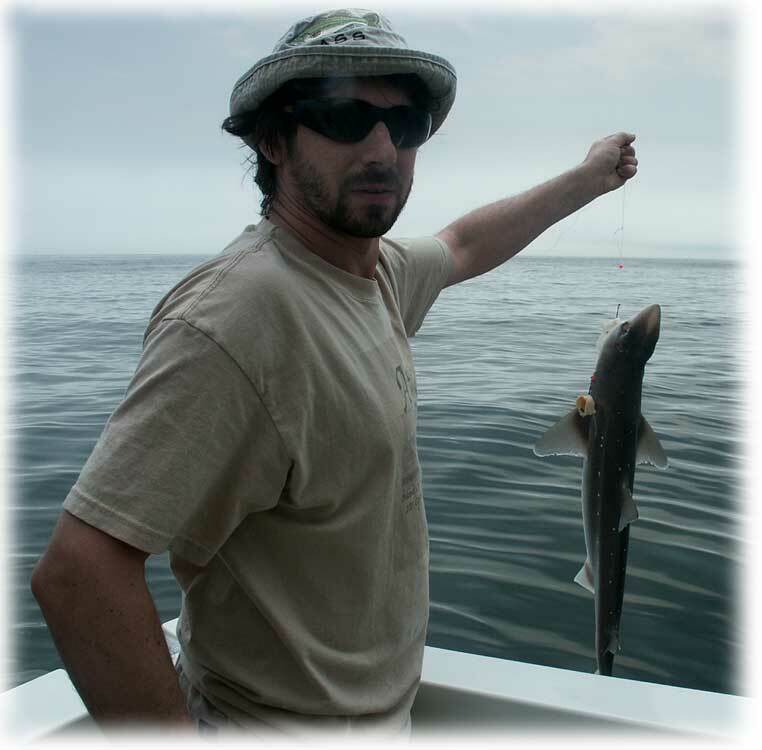 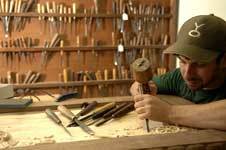 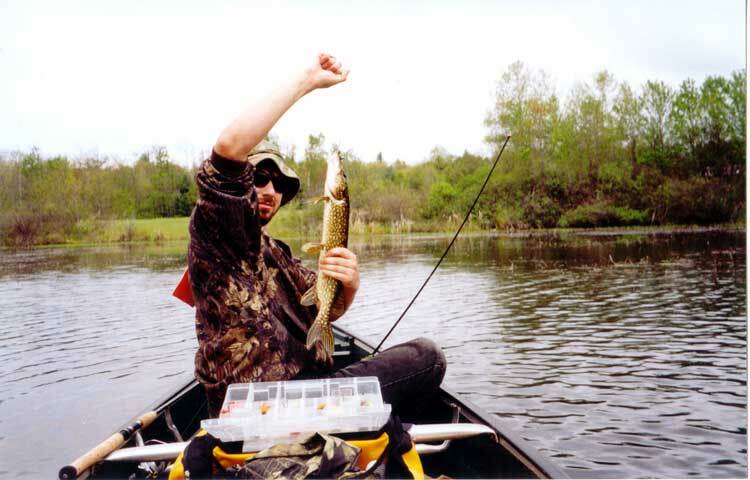 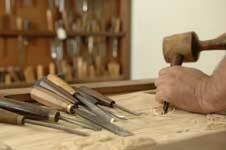 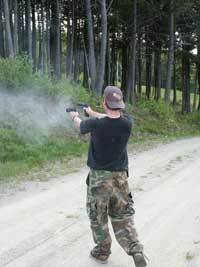 This page features Eric's life outside of woodworking and information technology. Yes - he works in IT as well as owning Artisans of the Valley. 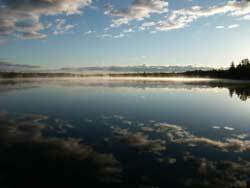 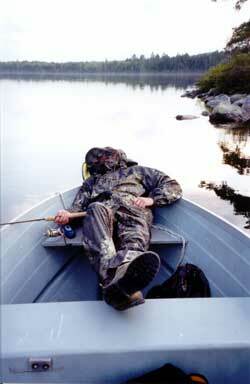 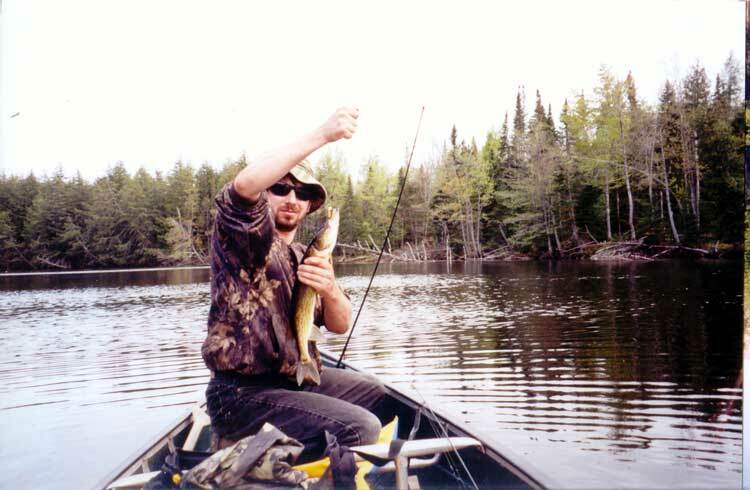 This is one of Eric's photos, taken about 5am on a May morning in 2002 just arriving on Ingham Pond in Belgrade Maine. 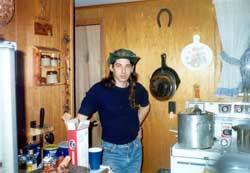 Photos shown ranging from Maine to Florida and occasionally heading west, in 2006 our adventures took us to the famous TX YO Ranch. 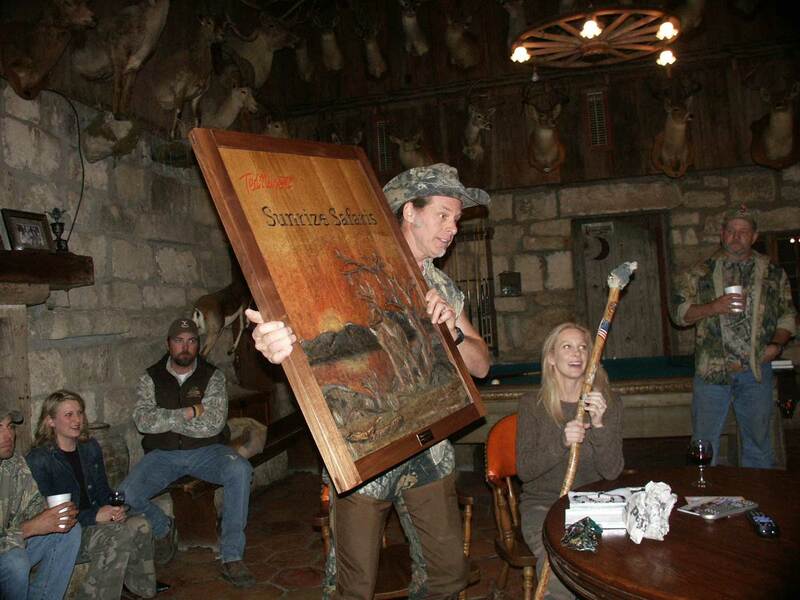 2006's Hunting Trips included a Sunrize Safaris trip to the YO Ranch, a great hunt and an opportunity to present a hand carved "Whitetail Sunrize" panel and custom personalized walking stick to Ted Nugent for his 58th birthday. 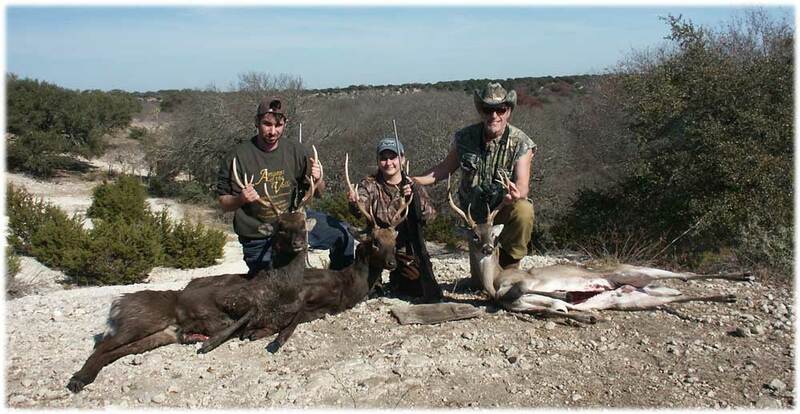 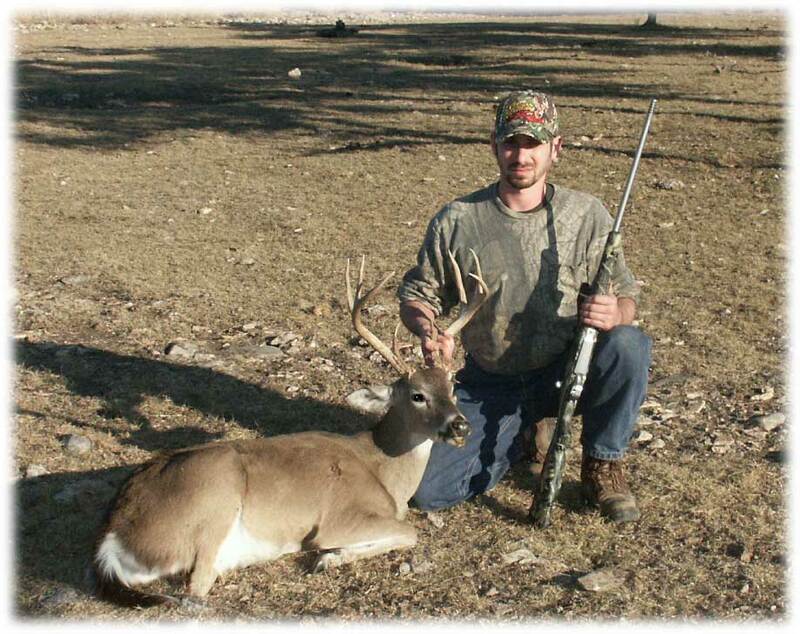 2006 YO Ranch Hunting Trip - Eric with 8pt Sika on left, 8pt Whitetail on right. 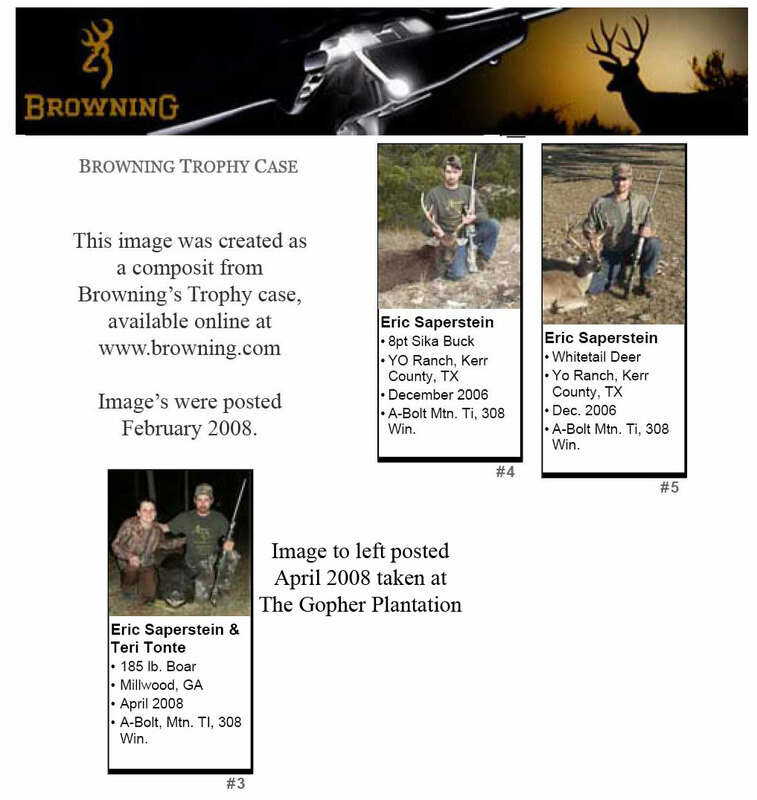 Check out Eric's Feature in Browning's Trophy Case! 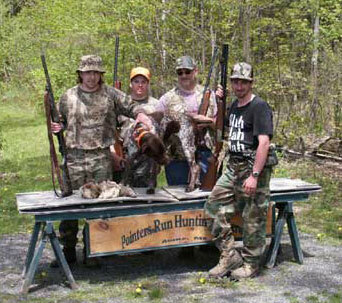 The image to the right is our page capture, the link above goes to Browning's website. You may have to flip a few pages in as their trophy case grows! 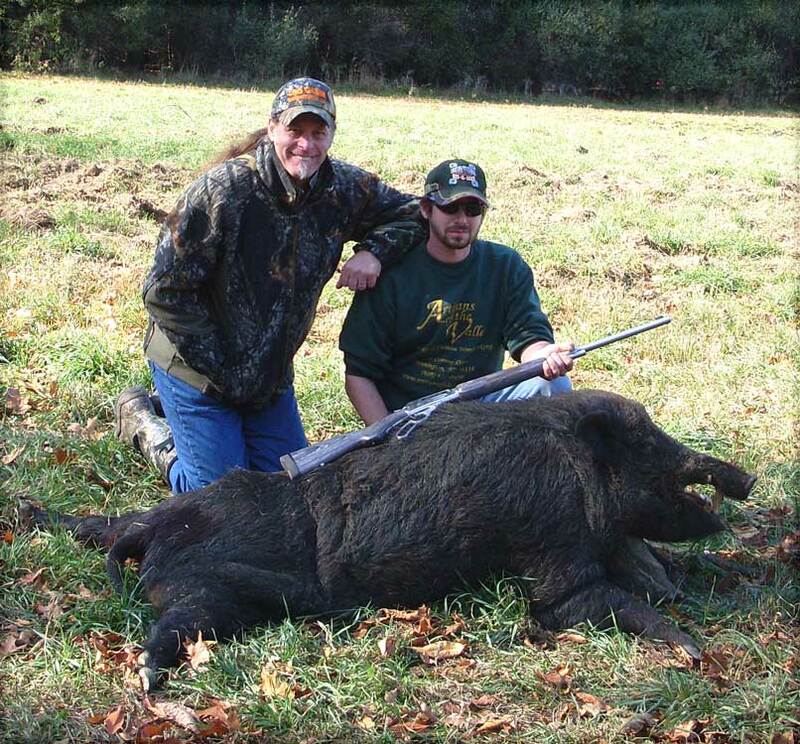 We have a few pending hunts on the horizon, and sooner or later we're bound to get a good size boar - and the plan will be to host a wild boar roast! 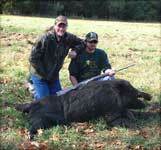 The boar opportunities came a year later in 2007 - above left Eric poses with Ted Nugent over a presidential boar. 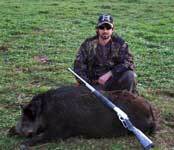 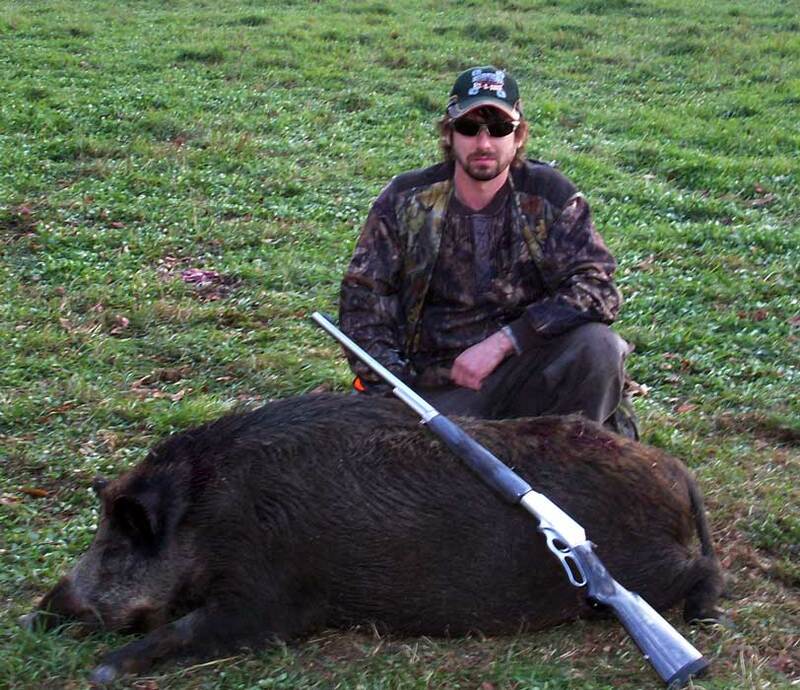 Below are the 300lb+ wild pig. 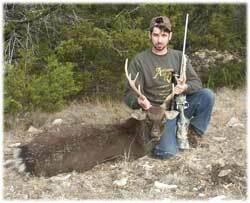 Check out our Wildlife Carving Section, Eric's Profile, Road Trip 2007, and Texas 2006. 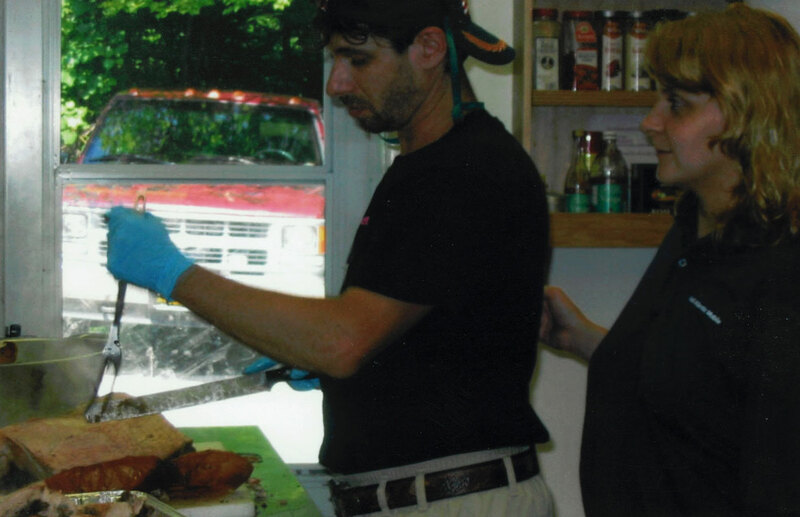 Also a chef, Eric owns and, when time is available operates, Artisans On-Site catering. Most often available to friends and family, some very unique buffets are planned and presented. 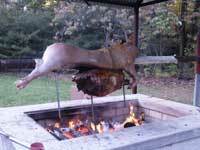 The Saperstein's usually have an annual pig roast, and Eric often cooks for various hunting club events. 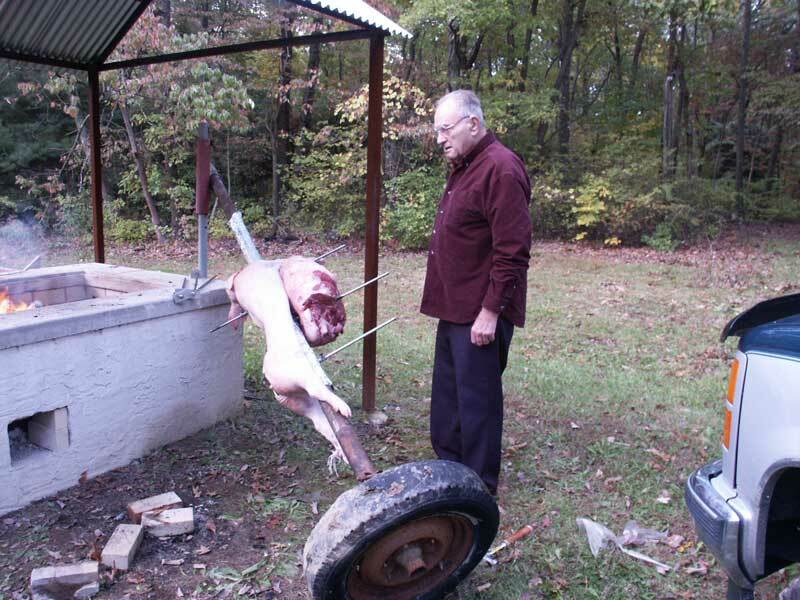 Shown below left is a 75lb pig pinned to a 60lb ship bottom roast. Spinning on a custom built rotisserie powered by a hay bailer motor driving an old truck tire to slowly turn and self baste these beasts for over 12 hours. There are two such contraptions at Eric's hunting club, Clover Rod & Gun. 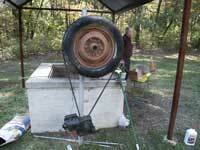 Below Center, Sam Galino attending to setting up the roaster, a common Clover site! 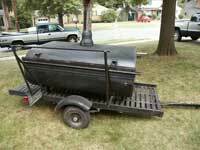 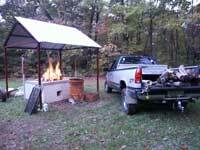 This rig has handled its share of outstanding meals for picnics, hunts, and other club events. 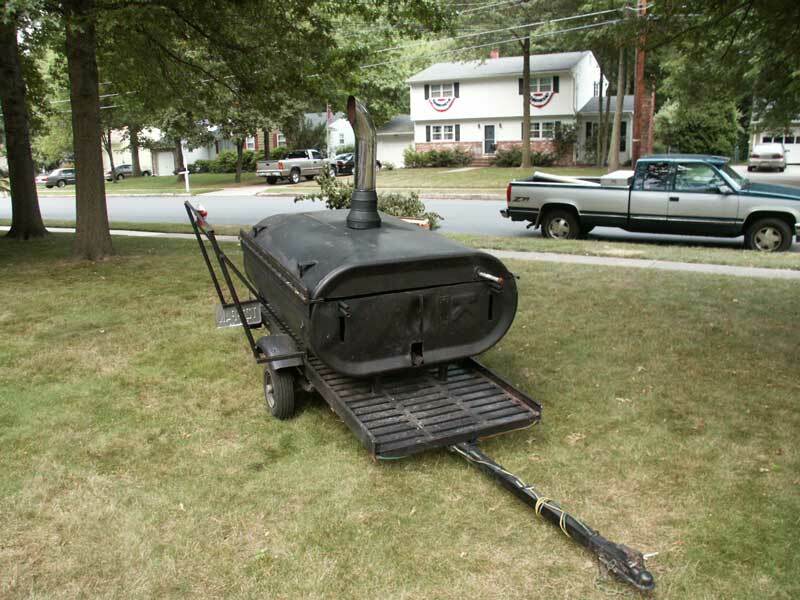 Eric's decision to start welding one day resulted in another such contraption. 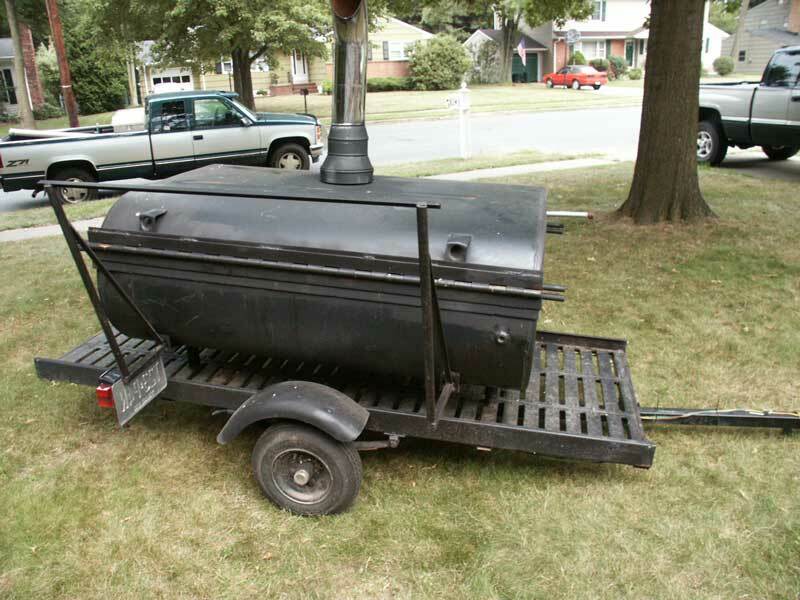 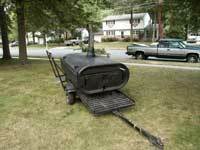 This portable pig roaster features a dual fuel heat source allowing a custom made propane pipe burner or coals to provide the flames. 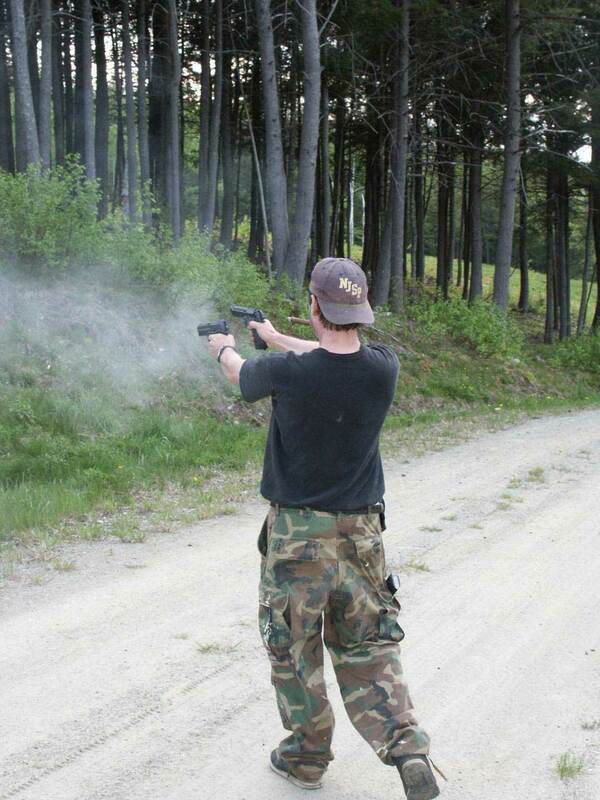 Check back soon for roaster feature photos, as well as shots from our events. 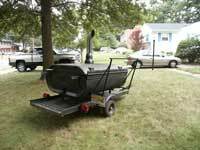 The unit has a lot more features now than shown in these old. 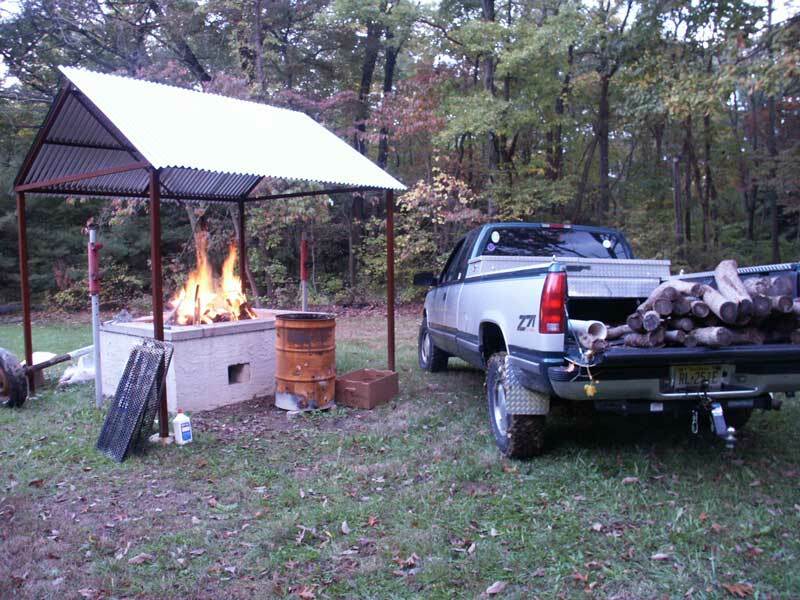 Check out our Adventure Album for more trip & event photos!